EDINBURG — A sweeping investigation into voter fraud has yielded four arrests and dragged the names of the mayor, a council member and the city secretary in its path. Accusations questioning the legitimacy of Edinburg’s municipal election last year have been circulating for months, and have now led to the arrest of three women and one man by the Texas Rangers. Former Justice of the Peace Mary Alice Palacios served as the key whistleblower, collecting evidence and compiling a large file detailing what she believed was voter fraud that helped Richard Molina handily beat longtime incumbent Richard Garcia for the mayoral seat in November. Palacios mentioned three of the four open cases in the report she sent to the elections fraud division in the Texas Secretary of State’s Office last December, of which The Monitor obtained a copy. Molina has routinely denied any wrongdoing on his behalf and strongly believes the allegations are part of a “political vendetta” against him by Palacios and his predecessor’s supporters. The arrests, however, have emboldened his critics, who are working to recall the election. Ponce, 28, was arrested Thursday on an illegal voting charge and arraigned the same day, her bond set at $5,000. 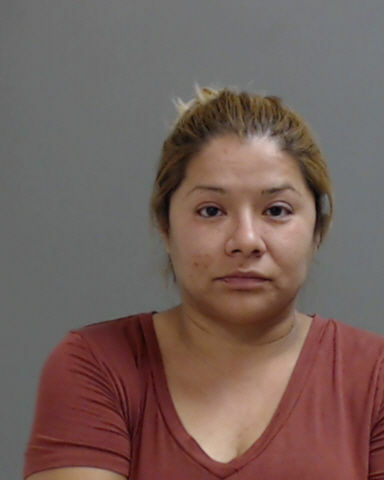 She registered to vote last October despite a felony conviction for transporting an undocumented immigrant within the U.S., according to the probable cause affidavit tied to her arrest. Per Texas law, felons are unable to vote until they have completed probation or parole, and Ponce’s parole period is not up until 2019. She switched her address to 409 E. Fay St. by submitting a change of address application a month prior to the election, according to the affidavit. Palacios detailed this case in her file, which included a notarized affidavit indicating Palacios had “personal knowledge” that Ponce did not live at the address where she was registered to vote. Ponce, Palacios alleged, was one of eight people who falsely changed their address to the East Fay Street location, bringing the number of occupants living inside the 751-square-foot home from three to 11. Council member Jorge Luis Salinas, who was elected in November 2017, served as deputy registrar for Ponce’s voter registration application, according to documentation included in Palacios’ report. “All of these persons were working on the campaign for the Richard Molina, George (sic) Salinas, and Gilbert Enriquez political ticket,” Palacios wrote after she listed the names of the eight occupants, and she took pictures of what she believes were their actual homes with their vehicles parked outside and attached them as exhibits. Texas Department of Motor Vehicles data lists Ponce’s address as 208 E. Jones Ave. in Pharr. Molina called Palacios’ allegations an attack on his campaign. Saenz, 45, was the first person the Rangers arrested Wednesday for illegal voting. The Edinburg Parks and Recreation board president is accused of listing her address on her voter registration application as 803 Royal St. in Edinburg, although she lived in McAllen at 100 E. Hibiscus Ave. until January 2018, according to her probable cause affidavit. The case was also detailed in Palacios’ report along with an affidavit from Edinburg school district trustee Xavier Salinas, who owns the home in Edinburg. Salinas attested that he rented the property to Rene Saenz, Vela Saenz’s ex husband. The mayor called the document a “bold affidavit” and said this too is a political move against Vela Saenz, who he said has been vying to run against Salinas for his seat on the school board. Vela Saenz posted her $50,000 bond Thursday. 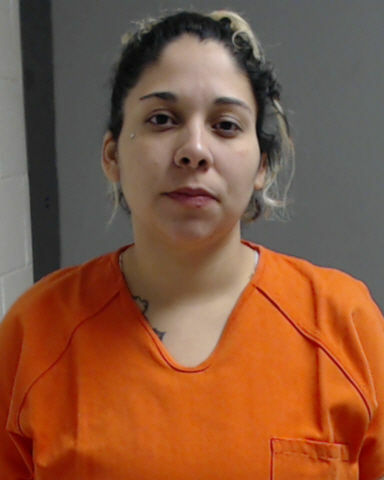 Aleman, 35, was also arrested on an illegal voting charge Wednesday and her bond set at $5,000 Thursday during her arraignment. According to her probable cause affidavit, Aleman listed her address on her voter registration application as 2416 E. Rogers Road, Apt. 10. Molina and his brother own this complex, which made news in March when U.S. Border Patrol agents found more than a dozen immigrants in an apartment being used as a stash house. Aleman lives at 8319 Dorthy St., which is located outside Edinburg city limits, according to the affidavit, and told investigators her sister, Donna Tamez, lived at 2416 E. Rogers Road, Apt. 13. Tamez told The Monitor on March 18, when interviewed about the immigrant stash house on the property, that she and her husband help rent out the units in the complex. Aleman’s attorney, Samuel Reyes, did not return a call requesting comment. She posted her $5,000 bond Thursday. If convicted of illegal voting, a second-degree felony, all three women could face between two and 20 years in jail and a fine of up to $10,000. Vela, 27, was arrested Wednesday on a making a false statement on a voter registration application charge. Investigators allege he submitted a change of address application listing his new address as 308 Keystone St. in Edinburg, according to his probable cause affidavit, when he instead lives at 217 W. 11th St. in Mission. The Keystone Street address belongs to Edinburg City Secretary Ludivina Leal, who told investigators Vela “did not, and had never over the previous year” lived there. Edinburg City Council members appointed Leal to the city secretary position in February after her predecessor, Myra Garza, took a job with the Edinburg Economic Development Corporation. Vela posted his $10,000 bond Thursday, and if convicted of the Class B misdemeanor, could face up to 180 days in jail and up to a $2,000 fine. Sources allege Molina himself registered Vela to vote from Leal’s address.